Film Hub NI was established in 2013 by Queen’s Film Theatre, Belfast in their capacity as NI’s BFI Film Hub Lead Organisation (FHLO). FHNI works to harness the creativity and energy of the film exhibition sector across NI and ensure a wide range of film is available to everyone. Based at the BFI FAN Film Hub Lead Organisation for NI, Queen's Film Theatre, we work with enthusiastic, inspiring and committed organisations to ensure a wide range of film is available to everyone across the region. We do this by developing inventive ways to increase and diversify the audience for film through investment, creative initiatives and collaboration with a wide range of partners. You can find find the full list of all our services here. Our small but passionate team consist of three core members; Hugh Odling-Smee (Project Manager), Sara Gunn-Smith (Marketing and Audiences Officer) and Jennie Carlsten (Project Assistant). These three talented individuals have a wealth of knowledge in film, theatre, festivals and TV. The Film Audience Network (FAN) is made up of 8 Film Hubs which cover the whole of the UK.  Each Film Hub is led by a Film Hub Lead Organisation (FHLO) that receives funding from the BFI to deliver extensive programming, audience development activity and support sector training in their region. Click below for more information on the scope of work carried out across the FAN.